Wetlands contribute in no small way to our quality of life - indeed, to our very survival. Wetland ecosystems are often undervalued. Few people realise the range of products derived from freshwater habitats like wetlands: food such as fish, rice and cranberries; medicinal plants; peat for fuel and gardens; poles for building materials; and grasses and reeds for making mats and baskets and thatching houses. These complex habitats act as giant sponges, soaking up rainfall and slowly releasing it over time. Wetlands are like highly efficient sewage treatment works, absorbing chemicals, filtering pollutants and sediments, breaking down suspended solids and neutralising harmful bacteria. They are also the most biologically diverse ecosystems on Earth. The most significant social and economic benefit that wetlands provide is flood control. 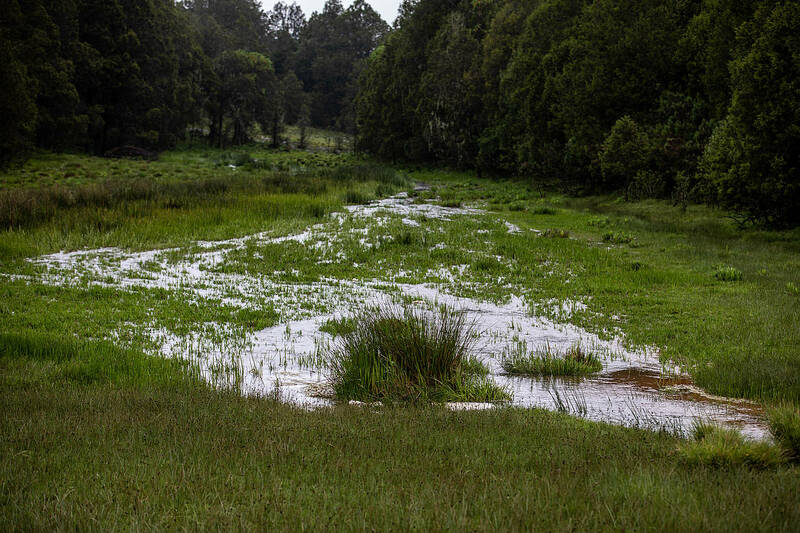 Peatlands and wet grasslands alongside river basins can act like sponges, absorbing rainfall and controlling its flow into streams and rivers. out slowly. When the peat bogs are drained or the floodplains reduced, the risk of flash floods is increased. Wetlands act as the Earth's filters, cleaning up water in a number of ways. For example, nitrogen in water is transformed to harmless nitrogen gas, nutrients are taken up by wetland plants in the water. Wetlands remove pollutants such as phosphorous, heavy metals and toxins which are trapped in the sediments of the wetlands. In addition, nitrogen and heavy metals are incorporated into peat during its formation. New York City found that it could avoid spending USD$3-8 billion on new waste water treatment plants by investing USD$1.5 billion in the purchase of land around the reservoirs upstate. This land purifies the water supply for free. Rice is the staple diet of nearly 3 billion people - half the world's population. It is grown in wetlands across Asia and west Africa, and in the United States. Almost as important is sago palm, which provides starch from which sago flour is made. And palms from the wetlands of Africa yield valuable oils for cooking and soap making. The devastating effects of natural phenomena such as hurricanes, cyclones and tsunamis cannot be denied. Worldwide, an estimated 200 million people who live in low-lying coastal regions are at potential risk from catastrophic flooding. Coastal wetlands – such as reefs, mangroves and saltmarshes – act as frontline defences against potential devastation. The roots of wetland plants bind the shoreline together, resisting erosion by wind and waves and providing a physical barrier that slows down storm surges and tidal waves, thereby reducing their height and destructive power. Throughout history humans have gathered around wetlands and these areas have played an important part in human development and are of significant religious, historical or archeological value to many cultures around the world. For example, on the Coburg Peninsula (the world’s first Ramsar site), traditional Aboriginal owners still conduct an active ceremonial life and undertake semi-traditional hunting and gathering in this coastal wetland. Wetlands yield fuelwood for cooking, thatch for roofing, fibres for textiles and paper making, and timber for building. Medicines are extracted from their bark, leaves, and fruits, and they also provide tannins and dyes, used extensively in the treatment of leather. Wetlands everywhere provide important leisure facilities - canoeing and fishing, shell collecting and bird watching, swimming and snorkelling, hunting and sailing. It has been estimated that freshwater wetlands hold more than 40% of all the world’s species and 12% of all animal species. Individual wetlands can be extremely important in supporting high numbers of endemic species. For example, Lake Tanganyika in Central Africa supports 632 endemic animal species. Wetlands provide a nursery habitat for many commercially important fish species that are harvested outside the wetland. The Varzea Flooded Forest in Brazil is a breeding ground for more than 200 species of fish. When winter sets in across the northern hemisphere, it triggers the most extraordinary mass movement of any living creature on Earth - the annual migration of countless birds over vast distances. The world's wetlands offer a welcome pitstop, offering protection and food before the birds continue on to their final destination. How it all starts the Mara River at its origin at Enapuyiapui swamp in the Mau Escarpment.